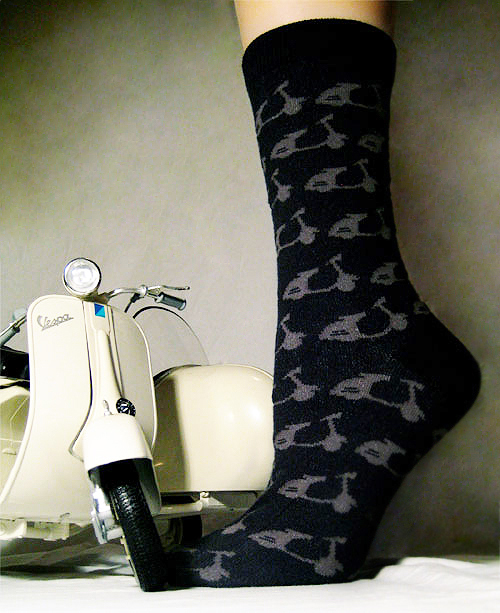 Bet you don't have Vespa Socks! Long ago I found some scooter socks on eBay. I ordered several pairs and they were my default birthday present one year. They were a huge hit because no one has scooter socks. Or at least no one has enough scooter socks. Kenneth has now created a site where you can order directly from him. On it you’ll find Vespas for $8.00 to keep your toes stylish. Pingback: Scooter Swag » New colors from Kenneth!